Vintage MG Parts periodically produce a shallow oil drain housing for enthusiasts and specialist MMM engine builder, Ken Robinson of Slough Grinding Services when fitting the larger camshaft arrangement. 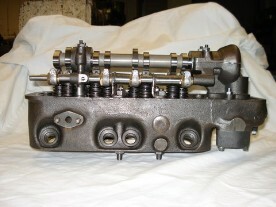 The shallow oil drain housing is a necessity for this modification as a result of the higher camshaft drive position. Each casting is machined to accommodate a secondary lip seal instead of relying on the traditional oil scroll arrangement. The secondary oil seal is supplied and can also be machine off the customer's fork drive oil scroll to utilise with this secondary seal arrangement. 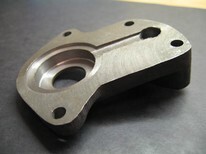 The casting is machined with a spigot to accommodate the upper profile section of the oil seal housing insert although the housing itself will require machining down in height to fit in the casting and this machining service can be supplied on request. We also supply camshaft gears and vertical drive pinions.